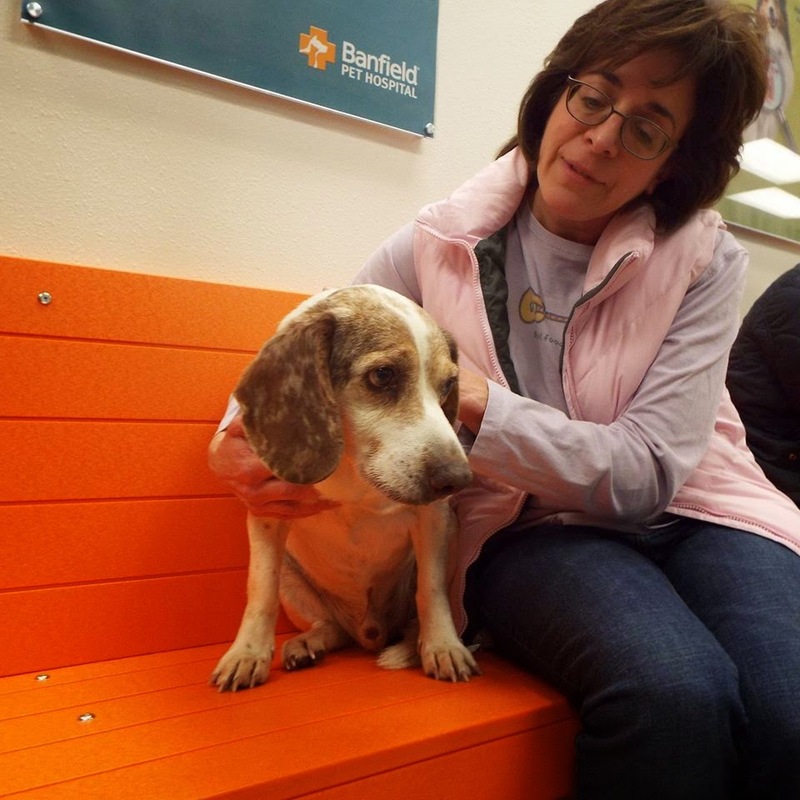 The most valuable gift you can give this holiday season is a microchip. Please read this true story from a local rescue group, Dent County Animal Welfare Society (DCAWS) this week! It is a holiday miracle! FIVE years as a stray on the street – shot, hit by cars, abused by the neighborhood kids, heartworm positive. 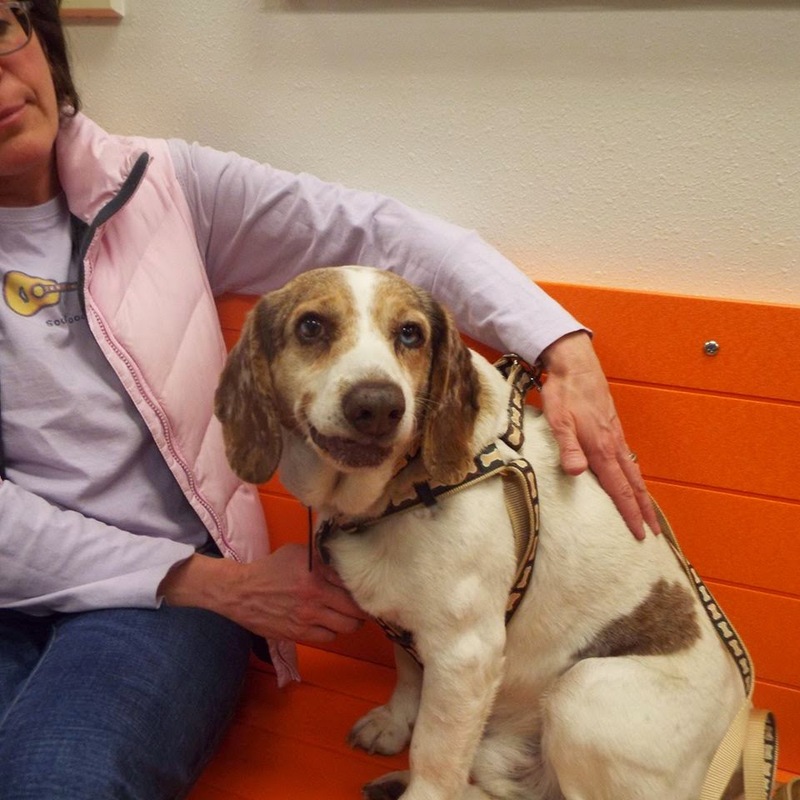 Returned because of a microchip. Lucky was lost to us 5 years ago, was a stray on the streets the whole time and today we got the phone call from a vet’s office in Crystal City that a stray that had been brought in that was chipped to us. They told us that he had been frequenting Highway 21 in that area and had spent a lot of time in the area of the gas station. People up and down Highway 21 had been feeding him for many years and trying to catch him. Some told of him getting hit by cars, some told of him being shot at, others told of neighborhood kids being mean to him. But no one could ever catch him and many had tried. Yesterday he followed an owned dog in their yard and seemed to have surrendered to the catch. They said he slept all night on the couch without moving and the guy took him to their vet this morning. We fetched him back up to our vet and he will be sleeping in soft beds the rest of his life. He is so very scared but very very sweet. He just seemed worn out. He has a growth that will come off on Monday but the vets don’t think its cancer at all and there aren’t any signs of other growths other than the one. He is heartworm positive but his heart is normal size and he doesn’t to have the side effects of a heavy infestation so he should do fine with treatment. And his back right leg seems to have an issue that they will investigate further on Monday. The bullets are positioned in a place that the vets don’t think they need intervention. A HUGE shoutout for the angels along Highway 21. I renamed him Bennett after the place that where I know he was hanging. This holiday season, please consider giving the gift of a microchip! 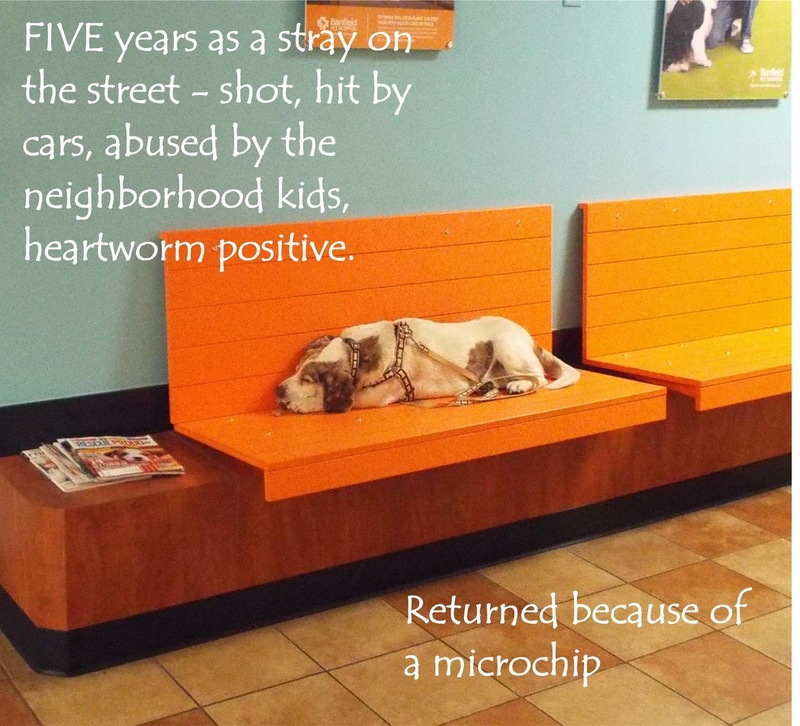 Many of your local area shelters as well as rescue groups have low cost microchips available. Give your friend or family member a gift that cannot be of higher value – the safety of knowing that if their pet is lost, a microchip can secure their passage home! Happy Holidays from Missouri Lost & Found Paws! Previous Post After 57 days of being lost in South St Louis, Sophie is home!